Thomas Friedman says we're in a period of rapidly accelerating change, and we're going from a world that is interconnected to a world that's interdependent. He suggests we adopt a "Mother Nature" strategy of resilience. This accelerating change, Friedman says, "is not just changing, but reshaping our world," in the realms of politics, geopolitics, the workplace, ethics and the community. He says our two existing political parties grew out of the industrial revolution and the French Revolution, and they give us "a set of political choices that are simply no longer relevant to the actual choices people have to make, and businesses have to make, every day" and the "dissonance between the two is actually blowing them all up." Friedman invited the audience to join his "Mother Nature's political party." In this age of acceleration, he added, "the company, the community, the university that most clearly mirrors Mother Nature's strategies for building resilience and propulsion when the climate changes, is the one that will thrive in the age of acceleration." His newest book "Thank You for Being Late," is just out in paperback, with a new chapter added. In it, he sets out an 18 point platform calling for universal health care, universal lifelong learning, and to "abolish all corporate taxes and replace it with a carbon tax, a tax on bullets, a tax on sugar and a small financial transaction tax." Friedman says we need to "start taxing all our 'bads,' not taxing all our 'goods'," like labor and corporate profits. "We can't afford our 'bads' anymore in the age of acceleration," and he added, "Mother Nature would call it stupid." 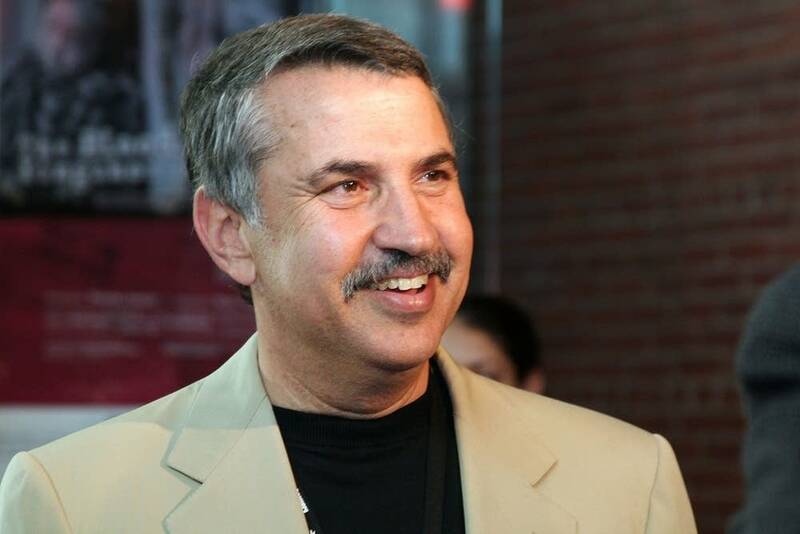 St. Louis Park, Minnesota native Thomas Friedman is a three-time winner of the Pulitzer Prize. The New York Times columnist was back home in Minnesota on April 30, 2018, to speak to the Economic Club of Minnesota. The co-founders of the Economic Club of Minnesota are former congressmen Tim Penny and Mark Kennedy. Tim Penny moderated the question and answer session following Friedman's speech.